Its 2014 and the world that we all know, the one is connected by miles and miles of cabling, is all changing. The world of Wi-Fi has taken over to spread internet love without wires and is proving immensely popular - but that doesn't make it the best way to connect devices. Wouldn't it be great if you could effortlessly connect your Wi-Fi-enabled devices without messing around with access points and lengthy passphrases? That's what Wi-Fi Direct promises. Here we explain just what Wi-Fi Direct is and why you should be paying attention to it; it does an awful lot today that maybe you just didn't realise. Wi-Fi Direct devices can connect to each other without having to go through an access point, that is to say you don't need to use your router. This is because Wi-Fi Direct devices establish their own ad-hoc networks as and when required, letting you see which devices are available and choose which one you want to connect to. If you think that sounds very like Bluetooth, that's because it is... only a lot faster. It comes via the Wi-Fi Alliance, the global industry association in charge of certifying Wi-Fi kit. This means that you can be sure that any Wi-Fi Direct enabled technology has been set to work with all the others without the need for special hardware. The idea behind Wi-Fi Direct is that simple tasks need simple connections. Lets sat you want to print from your laptop or smartphone to a wireless printer, share images with someone sat across the room, or even send your holiday video from your phone to your TV. None of these things require an active internet connection, or an internet connection at all, but they do need to connect - to the printer, or to the other person's hardware, or to the TV. With Wi-Fi Direct, that bit's easy. Much like you have password protection on your home network, you don't want any Thomas, Richard or Henry to be able to connect to your stuff. You won't want to see what the neighbours are beaming to their TV on your TV nor do you want them being able to use your printer. In order to prevent this, Wi-Fi Direct uses Wi-Fi Protected Setup [PDF] and WPA2 to prevent unauthorised connections thus keeping your communications private. Pairing devices can be done in multiple ways; physical buttons - "press the button on gadget X and then the same one on gadget Y", with PIN codes, QR Codes or even NFC. Wi-Fi Direct includes two potentially useful things: Wi-Fi Direct Device Discovery and Service Discovery. Devices won't just know there are devices available; if developers have enabled it, your device will know what kind of devices are nearby and what's on offer. This means that if you're trying to display an image, you'll only see devices that you can beam images to; if you want to print, you'll only see devices that are or that are connected to printers. Crucially this can happen before you connect, so you don't waste any time trying to connect so something that doesn't do what you want it to do. Manufacturers don't need to add extra radios to their kit: the idea is to have Wi-Fi Direct as part of the standard Wi-Fi radio. It's backwards compatible too, so you don't need to throw out your old Wi-Fi-enabled kit. 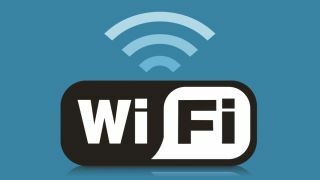 The Wi-Fi alliance currently claims that more than 1,100 devices have been certified since October 2010, including televisions, smartphones, printers, PCs and tablets. In November 2011, the Digital Living Network Alliance (DLNA) announced that it was including Wi-Fi Direct in its interoperability guidelines. Since then Google has added Wi-Fi Direct support to all versions of Android since Android 4.0 Ice Cream Sandwich. Samsung has included Wi-Fi Direct since Android 2.3 on the Galaxy S2, although required to only connect to other Samsung devices. DLNA streaming is now common in every modern flagship including the HTC One, LG G2 and Sony Xperia Z1. Wi-Fi Direct is even found inside the iPhone 5S having been baked into iOS7 in the form of Air Drop. Not keen on missing out, BlackBerry has updated its OS BB10.2.1 to include Wi-Fi Direct and even screen mirroring through Miracast has Wi-Fi Direct running underneath. Even the new Xbox One comes equipped with the Wi-Fi Direct allowing it to connect to your smartphone or tablet allowing apps like SmartGlass to work a little quicker and a lot easier.